Hi Michael Studivan! Great to have you on Reefbites. Location of fieldwork; why choose this location? Carrie Bow Cay is a Smithsonian-managed field station about 24 km offshore on the Mesoamerican Barrier Reef in Belize. The station resides on a one-acre island with housing for 6 scientists, SCUBA and boat support, basic lab equipment, and immediate access to coral reef, seagrass, and mangrove habitats. Besides being my favorite place on this planet for its idyllic views and relaxed/rustic atmosphere, Carrie Bow is in a natural setting for research on mesophotic coral ecosystems (MCEs, coral reefs found 30-150 m). From the edge of the reef crest just 100 m from Carrie Bow, the fore reef slope drops into a vertical wall down to ~250 m. This means we can access both mesophotic and shallow depth zones within a single SCUBA or remotely-operated vehicle (ROV) dive, allowing all manner of sampling and experimental manipulation opportunities. What is the elevator pitch for your fieldwork project? Our goal is to understand how shallow and mesophotic coral ecosystems in Belize may be impacting coral populations in the Gulf of Mexico. Most reef habitats in the northern Gulf of Mexico are quite isolated from other reefs (on the order of 100-1000 km), but we have shown evidence of connectivity among these disparate populations. Effective conservation and management strategies require knowledge of how populations may interact across broad spatial and temporal scales, therefore we have incorporated complementary analyses examining population genetics, symbiosis, physiology, and adaptation across the Gulf of Mexico and Belize to better understand the ecosystem roles that MCEs contribute to coral reefs in the wider Tropical Western Atlantic. Why is this research/project important and timely? 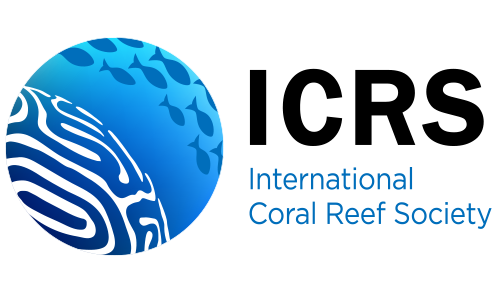 We are at a critical point in the protection of coral reef ecosystems for future generations. In addition to successful restoration activities, we also need to increase exploration of less well-known ecosystems, with the objective of improving habitat characterization and conservation strategies. Mesophotic coral ecosystems may be just the type of habitat we’re looking for. We’re finding that deeper coral reefs may be more abundant than previous thought all throughout the Tropical Western Atlantic, and in some cases, these mesophotic populations may be providing larvae to shallow reefs. In other cases, while MCEs may be genetically isolated, they still represent unique ecosystems that provide critical habitat for corals, sponges, fish, and invertebrates. Even in the most isolated conditions, MCEs are worthy of protection, and may require new approaches to conservation strategies. It’s Belize, there are no worst parts? What advice would you give for successful fieldwork? Be flexible. Working at field stations can be rewarding but equally hectic. Weather doesn’t always cooperate, equipment may break, and tagged experimental corals may disappear. On the other hand, being immersed in your study location can result in other side projects based on observations or preliminary results. Give yourself the opportunity to adapt your research objectives as needed. Also, have fun! It’s too often that field research is time-limited, pushing you to go-go-go the whole time. A little bit of relaxation is needed, and you’d be surprised how many future project ideas come from a conversation over beers or under the stars. Any additional information or comments you would like to share? If you would like to read more about our research, please visit my recent interview on mesophotic.org, my website (mesophoticmike.weebly.com), and the Voss Lab website (vosslab.weebly.com). There are several ways to fund student travel to Belize for field research. Always check within your university as there may be grants or student travel funds allocated to your graduate student association. As for extramural funding, the Association of Marine Laboratories of the Caribbean offers small student grants, the PADI Foundation funds diving-related research, and the Rufford Foundation could support 5 years of field support! “Studivan drone” Consumer-grade aerial drones are a great tool to capture presentation-quality media of your study sites and can even be used to map coral reefs. “Studivan logger setup” During our first expedition to Carrie Bow in 2014, PI Dr. Joshua Voss and then-graduate student Michael Studivan attach data loggers to cinder blocks for a 6-month deployment at shallow and mesophotic depth zones. “Studivan sampling” Voss Lab graduate students Alycia Shatters and Dani Dodge sample corals along the fore reef wall at 25 m for a population genetics study. Previous Can Marine Protected Areas Save Our Reefs?